Now you can relieve the pain and inflammation of the heel associated with plantar fasciitis. 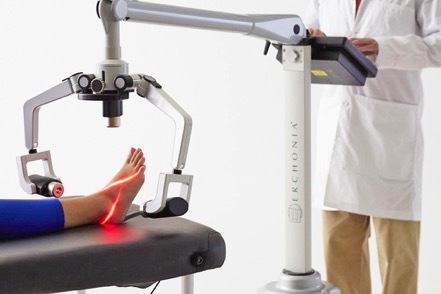 Our new FDA market cleared laser has been proven in clinical tests to effectively treat this painful condition. The regenerative powers of this low level laser technology can reduce inflammation and eliminate pain in the plantar fascia in only a matter of weeks and help you return to an active life once again.